Pylon signs have a unique trait that makes the business being advertised look professional. These signs are freestanding and are located in high traffic areas such as highways or freeways. The signs provide a more permanent kind of marketing. With thousands of vehicles driving by and pedestrians passing by these signs, your business will reach the targeted threshold of customers in no time. The only downside to pylon signs is that they require permits to erect and they must, therefore, be compliant with zoning codes. Sidewalk signs are among the most efficient and flexible type of signs. Since they have a chalkboard attached to it, they are mostly used in cafes where the menus keep changing. These signs have a sturdy framework in order to withstand a fall should they be knocked over. Wall signs are very popular and have 3D text representing the name of business accompanied by their logo. The signs are illuminated so as to pass along the information on them at night. Many are made from durable metal and plastic. These types of signs are generally for the business name. There is rarely any additional information. The monument signs are durable to last a lifetime since the materials used are concrete, brick or any high-density foam. 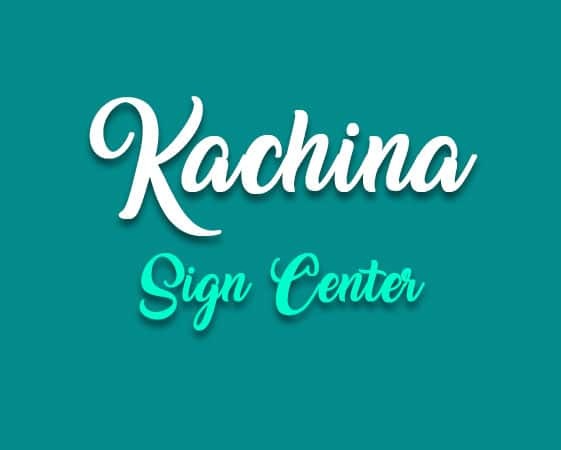 The type of businesses that use monument signs include those in strip malls or corporate center where a list of businesses in the space is included. They are hard to miss as they are placed in front of buildings or parking lot entrances. Awnings are part of the building architectural design where they serve to block sunshine, offer weather protection and act as a decoration. However, businesses can utilize awnings for advertising. By adding your identity and logo of the business, awnings will be seen by many and increase popularity of the brand. These are by far the cheapest signs. All one needs is a perfect storefront and compliance with zoning codes and regulations. Window graphics are used for glass panels for a better result. From all the above types, the choice will be dictated by factors such as budget, location, industry and permit regulations. Only then do you find the perfect business sign for your company.